A special service is being held for parents and relatives who have experienced the death of a baby, or a miscarriage at the Tunbridge Wells Hospital. 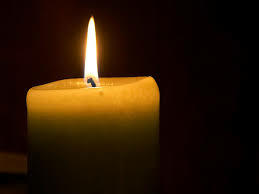 The annual Baby Memorial Service is being held at St Peter’s Upper Church, Pembury on Wednesday 6 March 2019 at 6.30pm. It will be led by the hospital chaplain, Revd Stephen Baker. The purpose of the service is to set aside a little time to share thoughts and light candles in memory of those babies who have meant so much but who we no longer see. “Some families will come to remember a recent loss. Others will come to remember a baby who died many years ago. All are welcome, whatever the circumstances,” said Rev Baker. Following the short service, there will be an opportunity to have refreshments with other parents, chap-lains and staff. For further information, please contact the Rev Stephen Baker on (01892) 635438.